Father’s Day DIY Tie | My Crazy Blessed Life! I have had some requests for Father’s Day DIY gift ideas, since I’m still working on this year’s gift last year’s will have to do. 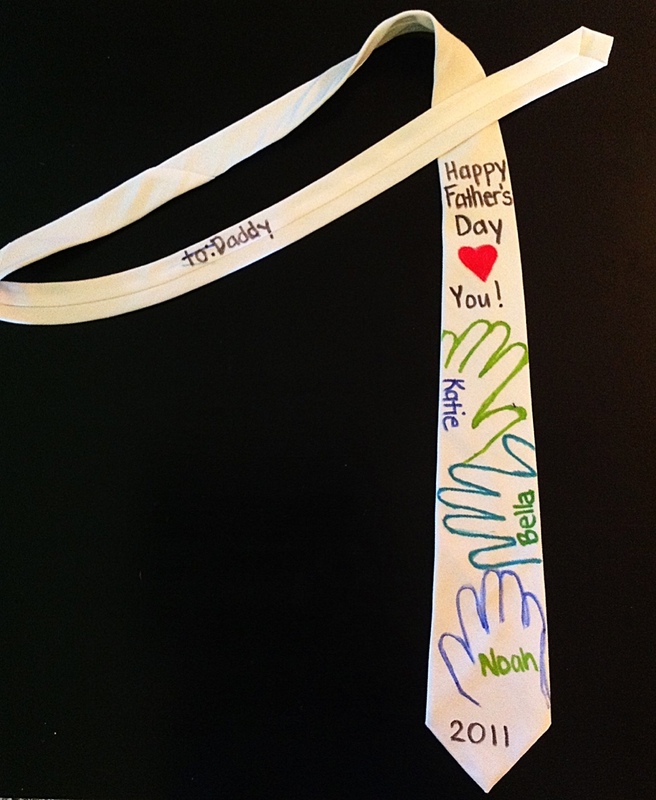 Last year for Father’s Day the kids and I made a tie for my husband to wear to church on Sunday. It was a simple and love-filled gift that he was proud to wear. I love this idea-I think I’m going to steal it for Christmas! My husband is a youth pastor, too! I think we have a lot in common. 🙂 Thanks for the great idea!